I’m constantly asking my clients to write a post for me and every now and then one obliges and I am very grateful, it’s so much more powerful in their own words. After months of diligent MLD with limited changes in the tissue and with my client doing her own bandaging at home and wearing a compression stocking during the day we decided that we needed to bring in the big guns. I sent her to Cosmac Healthcare to purchase a Caresia compression garment. Cosmac has a large range of compression options and it’s a matter of finding the one that will suit the needs of each individual client. i felt the Caresia would be the best option as my client was already accustomed to bandaging her leg at night. I’ll let you read her own words then you can scroll down and see some before and after photos and photos of her compression. I have had lymphedema in my left leg for approx 6 years and it has steadily gotten worse over that time. Initially treatment was at Mt Wilga but no ongoing treatment until January 2014 when the leg was uncomfortable and hardening. I sought to find treatment but Mt Wilga was not an option because it is too time consuming and is inconvenient. 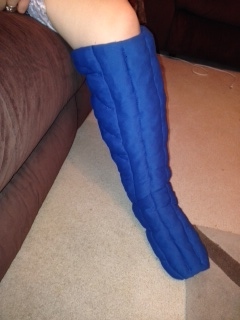 I have been having lymphatic drainage massage for 6 months and as this treatment was working temporarily we discussed trying a caresia leg bandage. I have used the leg bandage for approx 2 months and the improvement was noticeable immediately, with several friends commenting and one thought I had attended Mt Wilga because the improvement was so good. I use the below knee bandage each night and bandage it myself then use a full leg day stocking. With the use of these garments I have managed to lesson the amount of massage required to maintain my ongoing lymphedema. I am happy with the progress and the fact I can now wear boots again as I had issues getting my foot into them. One of the things that my great friend Angela (who I’m now sharing a clinic with) and I have wanted to do for a long time is create a collaborative practice where clients receive care from a number of therapists to help them realise their full potential quicker. It is very rare that one therapist can attend to all the needs of a client – we are just too multi-demential as clients for that to work effectively. We had tried to do this in our last practice … four of us set up together and for various reasons (mostly administrative) two were not able to continue past a few months. But we still referred clients to them in their new practices. We also tried to do this in our main clinics (we both worked in two), setting up a network of therapists to refer to – homeopaths, naturopaths, osteopaths, acupuncturists, nutritionists, you name it. And of course we referred to each other. 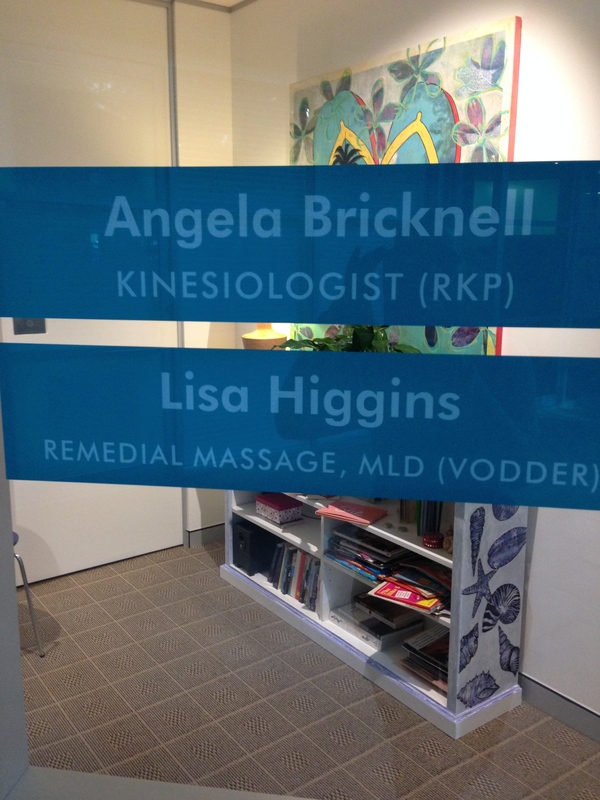 Angela sent an email out to all the health practitioners in our building and another building opposite that has a new practice and we have held a couple meetings so far. 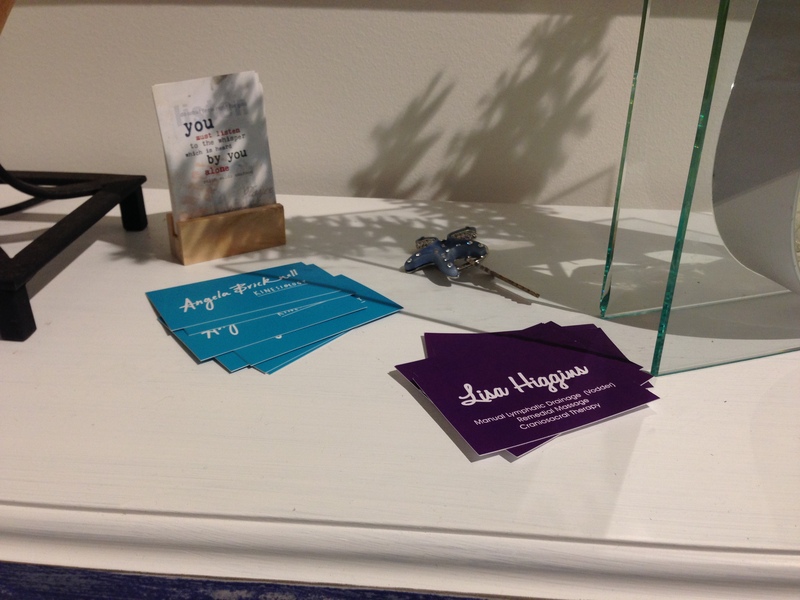 The first was to introduce ourselves, our passions and our therapies. After the first meeting we decided a good idea would be to meet every six weeks or so to discuss a particular condition and how each of us would think about treating it if a client presented with it. Well, I’m not shy. I put forward the first topic – lipoedema. As you know, I’m on a bit of a mission to educate the world (I’m thinking big) about this condition and I thought this was a really good place to start. At the meeting we had a couple homeopaths, a couple naturopaths/herbalists, a kinesiologist, a dietician and myself. I thought that was a good broad base of knowledge and experience. Discussion was spirited of course, which was fantastic. The dietician had come prepared with printed information on lipoedema, but it wasn’t a condition she had worked with so she was interested to hear what we had to say. There was talk of which organs might be involved, what hormones, what vitamins were deficient, what remedies might be used. 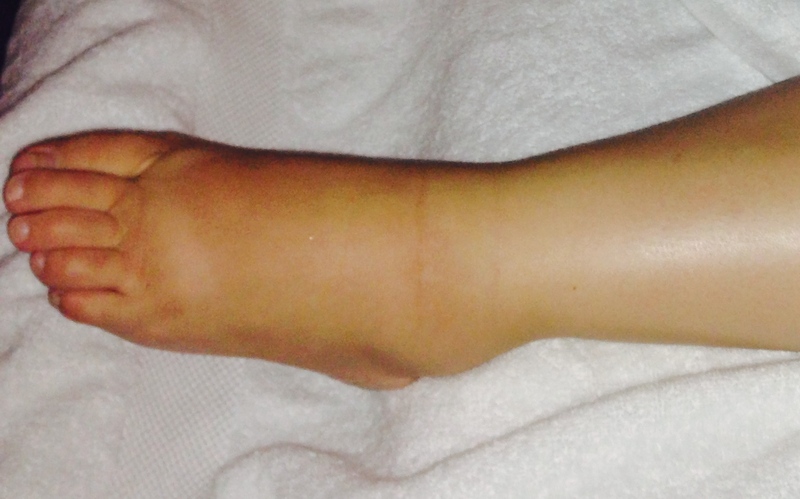 There was nothing in the homeopathic listing of conditions – the closest they could get was elephantiasis, not any where near but at least it was dealing with abnormal swelling in the legs. It was exciting seeing everyone giving their opinions and what they would look at. But still, we were no closer to finding out what common cause there might be – each of my clients present with totally different co-morbidities so it is hard to say what comes first, the lipoedema or for example, the fibromyalgia, or the celiac disease (just two picked at random). Angela and I left the meeting quite excited – we had decided on a plan of action. We are going to run a study of our own to try and find a common link. 1. Are their neurotransmitters strong? These may seem like odd questions, but kinesiology can be very specific, so by asking yes/no questions, Angela can find out which of the above are an issue. I’ll try and give you a real example – my first client after the meeting was more than happy to be our first guinea pig. Her neurotransmitters were strong; her pancreas was weak; the hormone insulin came up; her sphenoid (a cranial bone) needed to be balanced; and two homeopathics (the homeopath next door brought six over for us to test straight away, based on how homeopathy would treat the condition) tested positive – thyroidinum 4 and pituitary ant 6; and because of all of the above, Angela did a “pre-diabetic” test which was positive. She then tested for my treatment that session what was the priority – MLD or balancing the sphenoid bone? And some craniosacral therapy to balance the sphenoid was what I needed to do first. I’m sure our questions will evolve as we do more, but it was a place to start given the discussion we had that day with the other therapists. Wouldn’t it be amazing if we could find some sort of link which can help women get diagnosed earlier or even, heaven forbid, find some sort of way to turn off the gene expression for lipoedema! Nothing wrong in thinking big right! We’re going to be discussing autism in our next get-together. I bet that will be another full-on discussion.